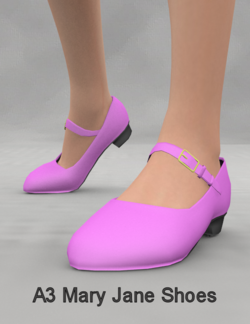 Mary Jane Shoes for Aiko3 and Aiko3 LE is a pair of low heeled Mary Janes for Aiko 3. It was created by Amy_aimei. This page was last edited on 19 October 2017, at 23:58.